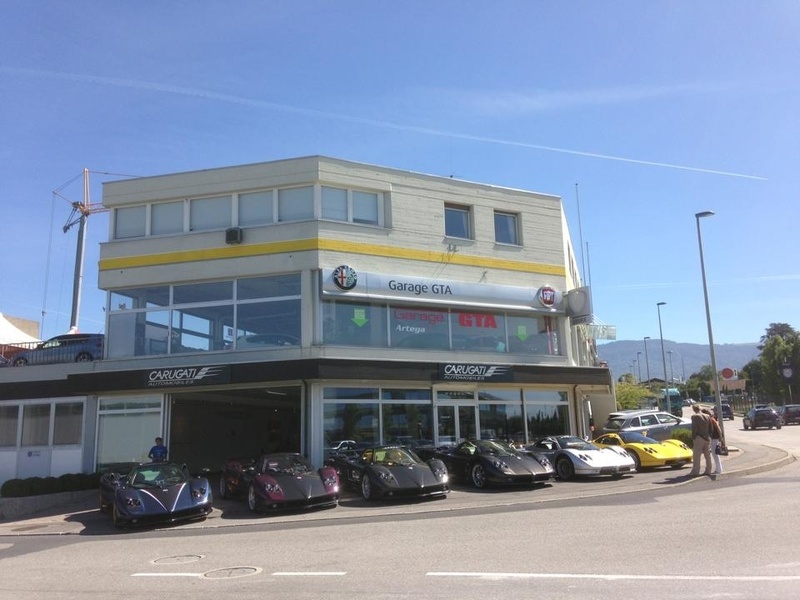 Epic line up spotted by Florent Poncelet in front of Carugati showroom few days ago. Pagani Zonda Tricolore 1 of 3 (76110), Pagani Zonda F Roadster 25/25 Final Edition (76121), Pagani Zonda F Coupé 2007 Nurburgring Car Record (76058), Pagani Zonda S 7.3 Coupé Club Sport (76040), Pagani Zonda S 7.0 Targa (76009) and the first and only one still alive Pagani Zonda C12 6.0 (76003). I want remember that Carugati Automobiles is the exclusive agent for the Pagani brand in Switzerland.